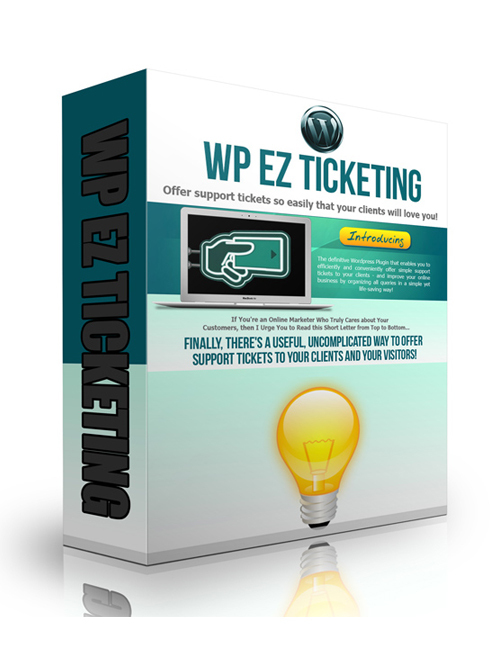 WP EZ Ticketing is a super fast and effective online software application that will help you offer up top notch support tickets to your clients and make them VERY happy campers. The online world is extremely competitive and this means you’ve got to take advantage of apps that are going to help you climb to the top of your money mountain faster and with ease. Leave it to the experts to figure out which apps are useful and what ones need to go straight to the garbage bin. This software application makes it VERY easy for you to set yourself up in the world of automation so your site gives easy access for your clients. The easier the better always! Customer support is vital in business and this is a real gem. WP EZ Ticketing is your solution to capturing the undivided attention of your target audience and converting them into buyers FAST. Try and and see for yourself!